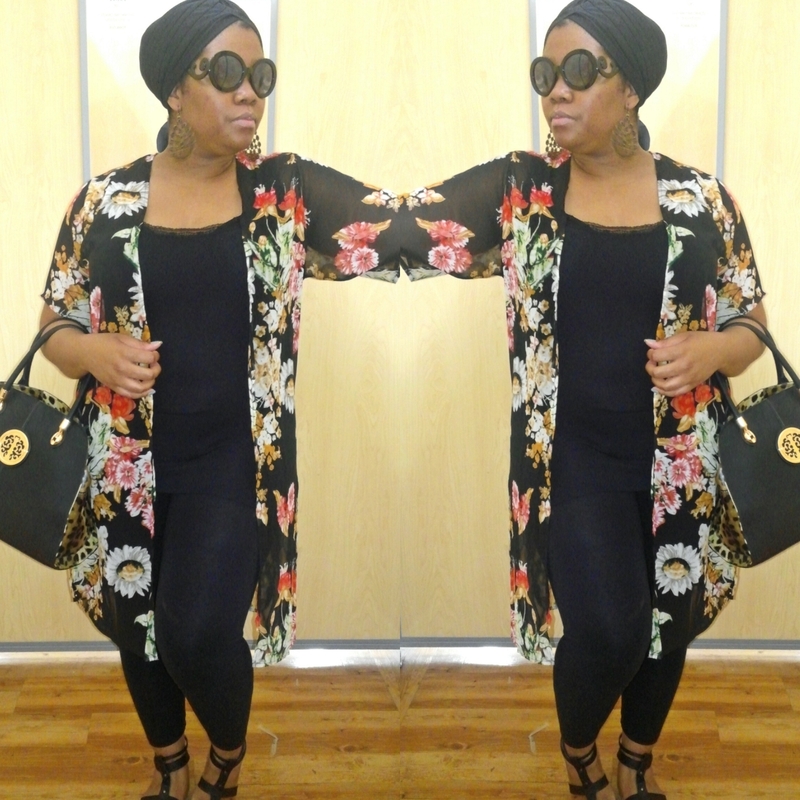 Closet Chic: Kimono Cardigan Redo – Lovely.Multifaceted.Chic. I wanted to share my outfit from yesterday. 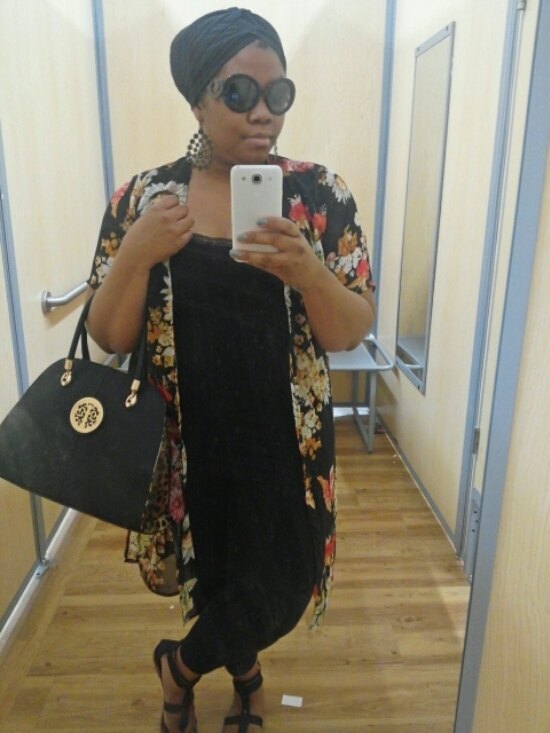 In my last Closest Chic post, I wore this same kimono cardigan. I wanted go for something that didn’t require a lot of work and is super chic. I chose black leggings and a black tank top. 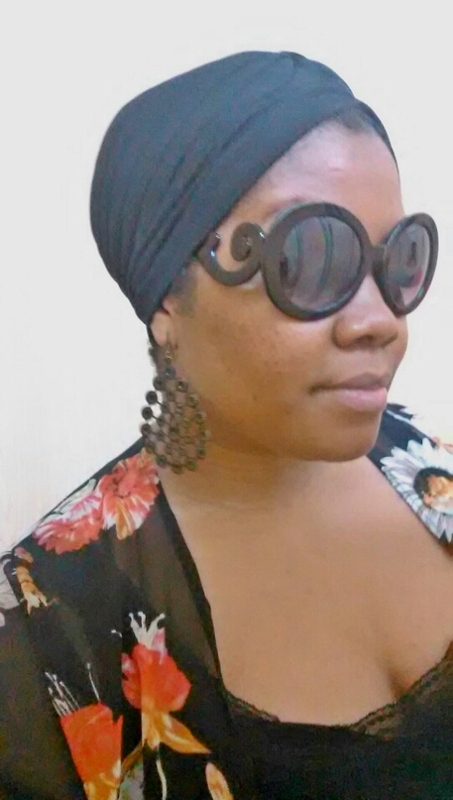 I wore my turban to add a little flair. 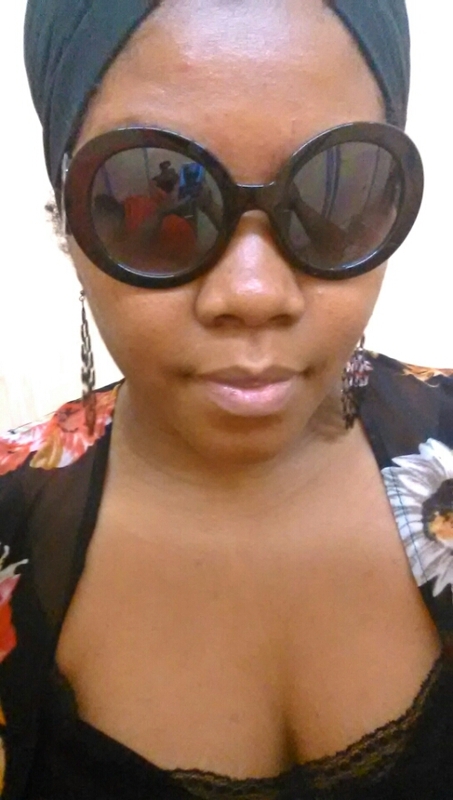 I also wore black sunglasses and a black and gold purse. It was very easy, effortless outfit to create. You look amazing! I have those glasses. Thanks Hil! I really like these glasses.